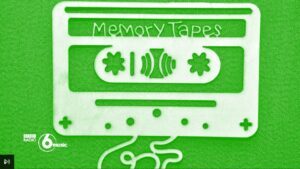 Last Wednesday, Chris and Jason had their memory tape played on BBC Radio 6 Music. Always great fun to be on the radio, and even better when we get to pick the tracks that they play, so huge thanks to the BBC Radio 6 Music Morning Show for having us on there. Absolute pleasure to chat with Lauren Laverne and her team were great. This is the full playlist that we sent to the show, with some explanation of why we picked the tracks. We had great fun putting together this play list, and we hope you enjoy what we selected. Now Jason and Chris are business partners and run Deepdale Backpackers & Camping, where music forms an important part of the Deepdale offering. Not sure if this list could be described as the soundtrack to their lives, but they certainly give you a hint of the inspiration for developing Deepdale, and the soundtrack of the last year while they’ve developed Deepdale Music. Another huge thank you to Lauren and all her team for the chance to select our tracks. You guys are always most welcome at any of our music events or just for a bit of r&r here at Deepdale on the beautiful North Norfolk Coast.